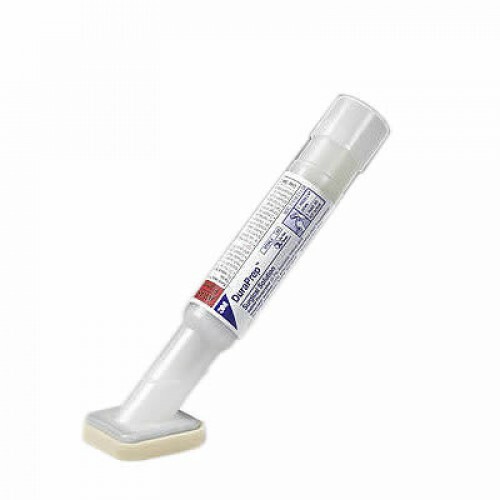 Duraprep, Surgical Cleanser, BUY 3m Duraprep, 8630, 8635. 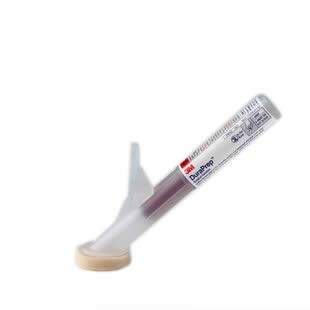 DuraPrep Skin Prep for Surgery, manufactured by 3M, is a Surgical Cleanser that comes with a convenient single use applicator. 3M DuraPrep is proven effective and safe. Unlike other Skin Cleansers, DuraPrep is designed to create a better adhesion between the skin and the surgical drape. These Surgical Cleansers are perfect for sterilizing an operation site, because any bacterial residue is immobilized to prevent gravitation toward the incision site. DuraPrep is a powerful Surgical Cleanser designed to work effectively for 48 hours. When applying DuraPrep paint on and allow the solution to dry completely: 3 minutes. The application will appear dull when dry. Once dry the surface is sanitary and prepared for surgery. Creates a better adhesion surface for the surgical drape. Effective even after exposed to blood. Proven safe by 22 documented studies. Do not apply to hairy areas. Do not use on infants younger than 2 months. I love the fact it is by 3M. They have everything.